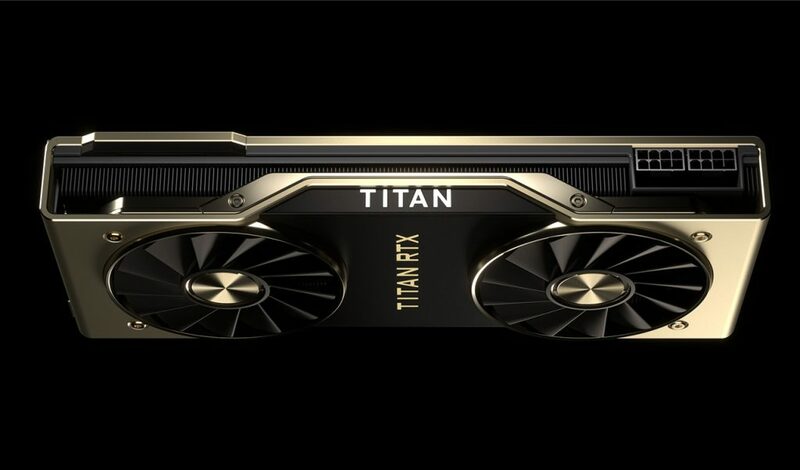 As expected, Nvidia today announced its top-of-the-line graphics card for the professional segment, the Nvidia TITAN RTX, and before you get excited, unfortunately this will be the first TITAN GPU that will not be aimed at more demanding gamers, because this new graphics card is exclusively designed for professional market, although it will be able to run any game throwing a higher performance than the GeForce RTX 2080 Ti, but price makes it pigeonholed for the professional sector. The Nvidia TITAN RTX uses the Turing TU102 GPU core, which translates to 4608 CUDA Cores (at a Base / Turbo frequency of 1350/1770 MHz), 576 Tensor Cores (up to 130 TFLOPs in deep learning) and 72 RT Cores that yield up to 11 GigaRays per second. Due to this, its performance difference with respect to the GeForce RTX 2080 Ti, in games, will be between 10 and 15 percent. Obviously, thinking of the professional sector, the graphics card include no less than 24 GB of GDDR6 @ 14 GHz memory together with a 384-bit memory interface, yields a bandwidth of 672 GB / s with well-known Nvidia NVLink @ 100 Gbps interconnection. This graphics card is also designed for Artificial Intelligence and Deep Learning thanks to the Tensor Cores that yield unprecedented FP32, FP16, INT8 and INT4 performance. We also have access to twice the memory of previous generation TITAN GPUs, the NVLink port allows researchers to experiment with larger neural networks, accelerates data analysis with Nvidia RAPIDS, and obviously, greater performance at the time of using RayTracing, which allows recreating the lighting and its reflections in real time, all this allowing the editing of 8K video in real time. 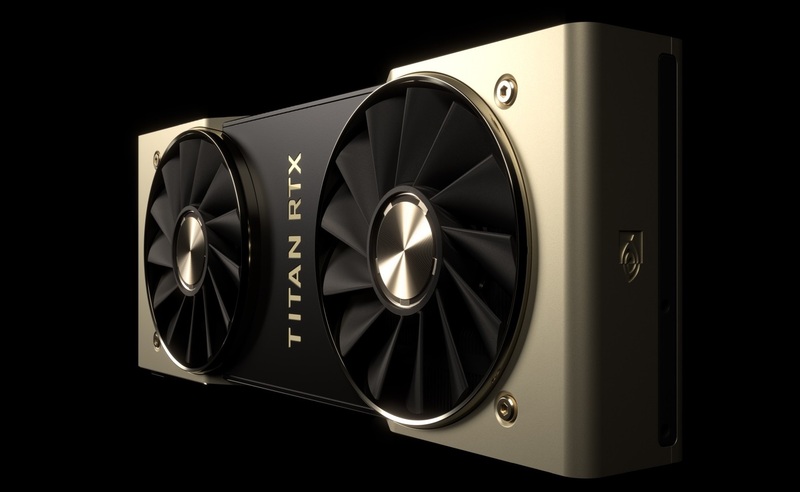 This Nvidia TITAN RTX is no longer presented as an option for more gamers, it comes at a price of 2,699 euros, way more than GeForce RTX 2080 Ti, which makes a “SLI” configuration more viable, but it is a great price compared to the TITAN V, which has a cost of 3,200 euros. The graphics card power through TDP of 280W by means of two PCI-Express of 8 + 8 pins connectors, and maintains the successful Founders Edition cooling system of dual fan next to the USB Type-C port for next-gen VR glasses.